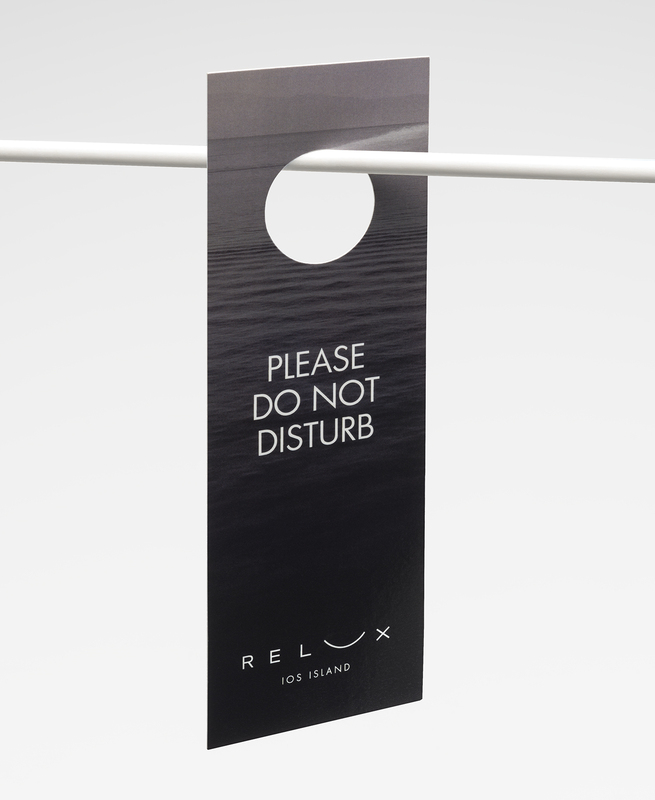 Relaxation is a modern-day luxury. 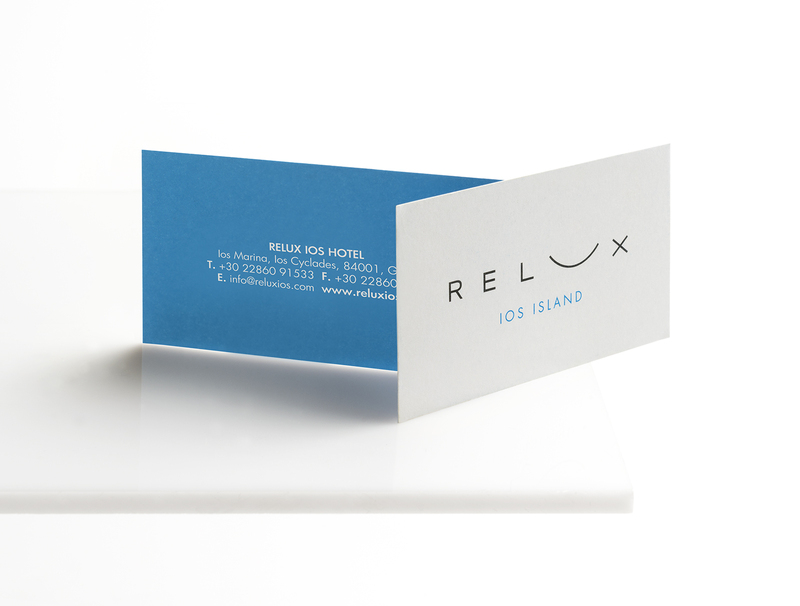 That was the driving force that led towards the creation of the identity of Relux, a boutique hotel in Ios island. 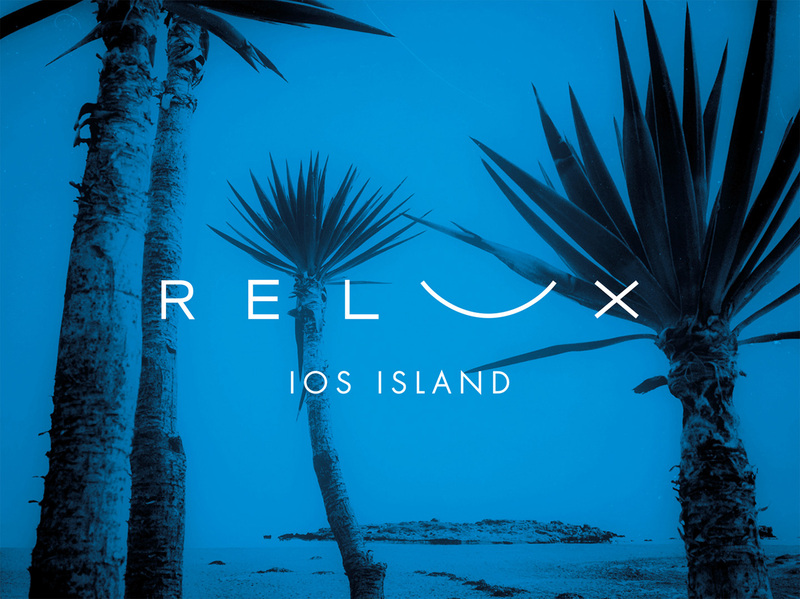 The logo itself, building its differentiating character on a long U, is aiming to transport us to a long day of lying idly on a hammock, while the waves create the most peaceful whooshing sounds. 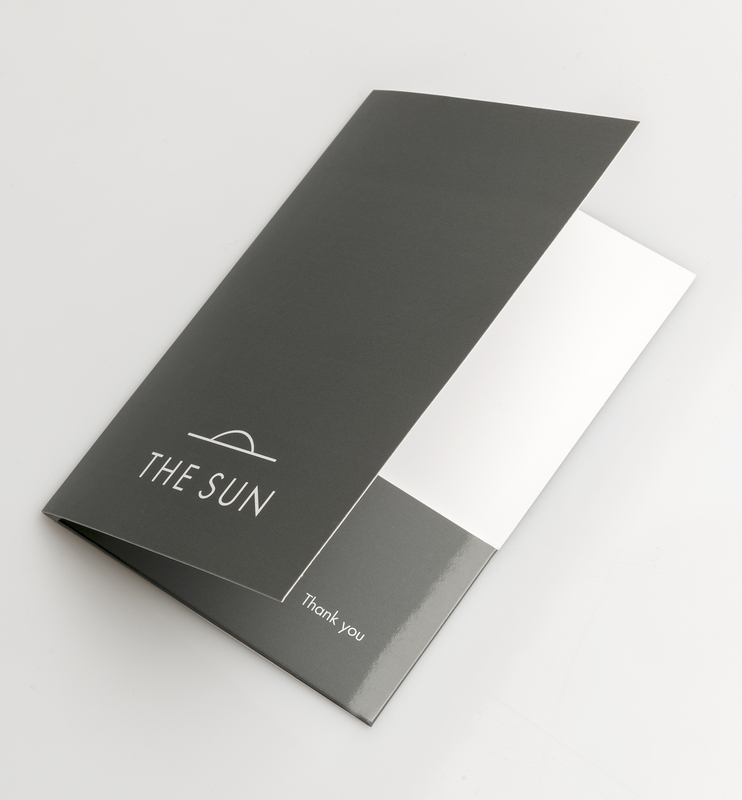 Opting for quieter shades of grey and clean lines, the identity also combines the characteristic blue of the sea the visitors will get to enjoy while staying at the hotel. 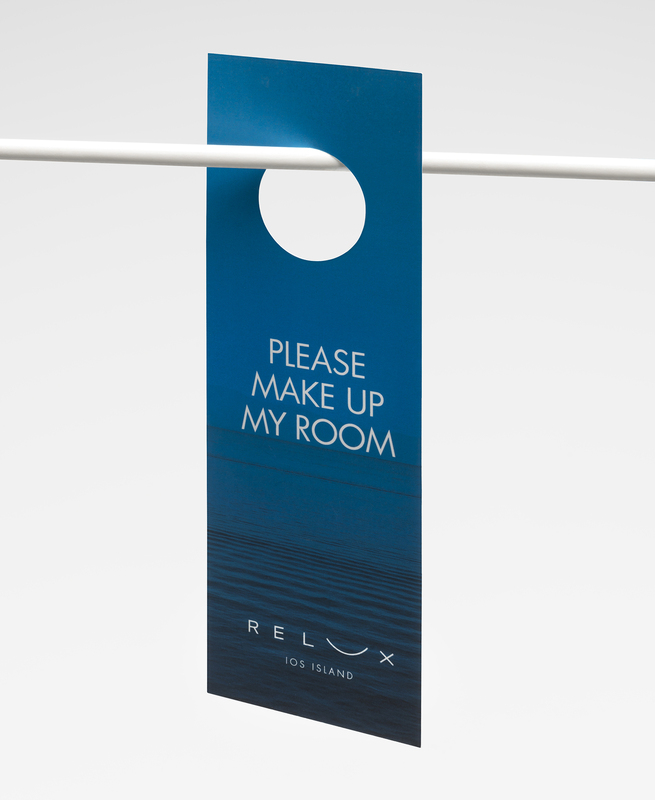 Fragments of the peacefulness of the sea were also utilized for the most functional material: the communicators with the hotel’s service personnel. 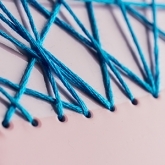 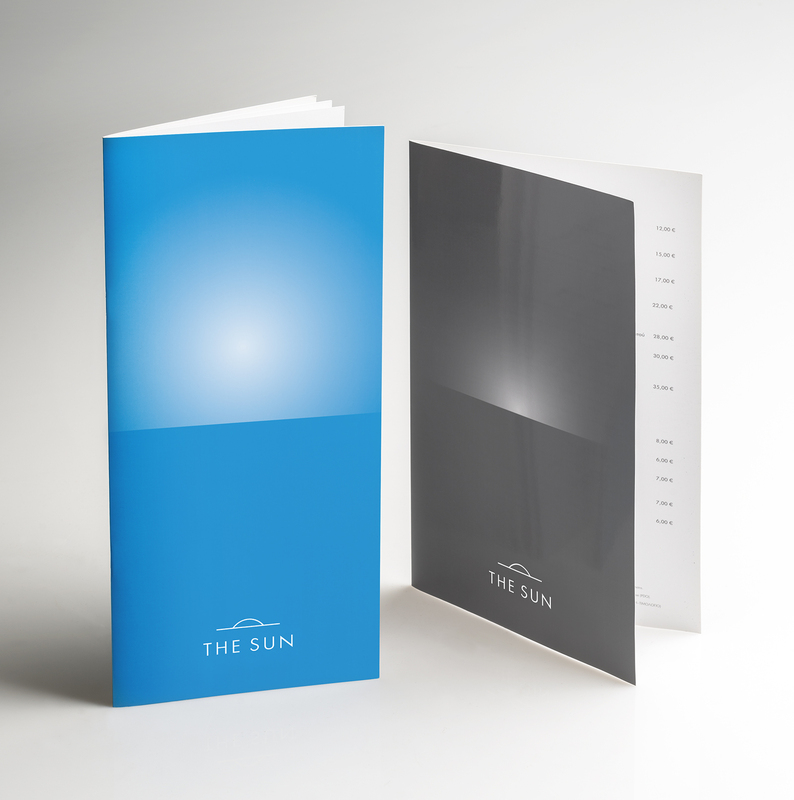 The color blue, even in larger surfaces, becomes the sponsor of tranquility, in line with the refined relaxation offered to the hotel’s visitors. 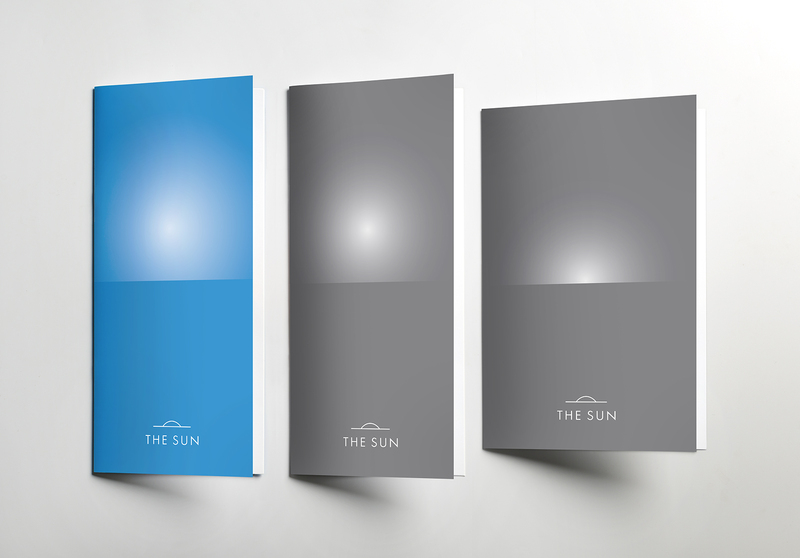 These design elements are also embodied in the internal artworks and installations in order to bring out the hotel’s character. 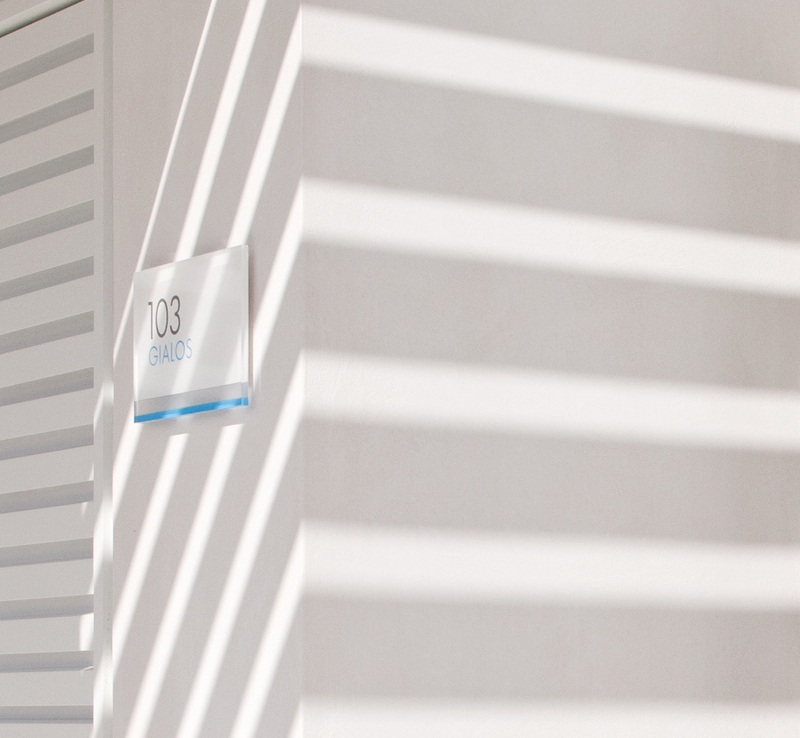 Take a tour in the venue’s peaceful luxury here. 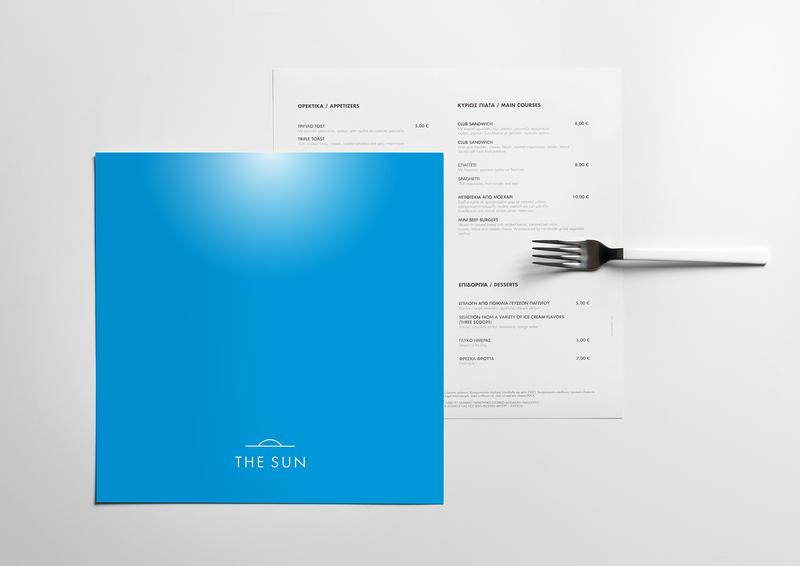 While this tour whets the appetite, the journey continues with The Sun, the hotel’s all day-restaurant. 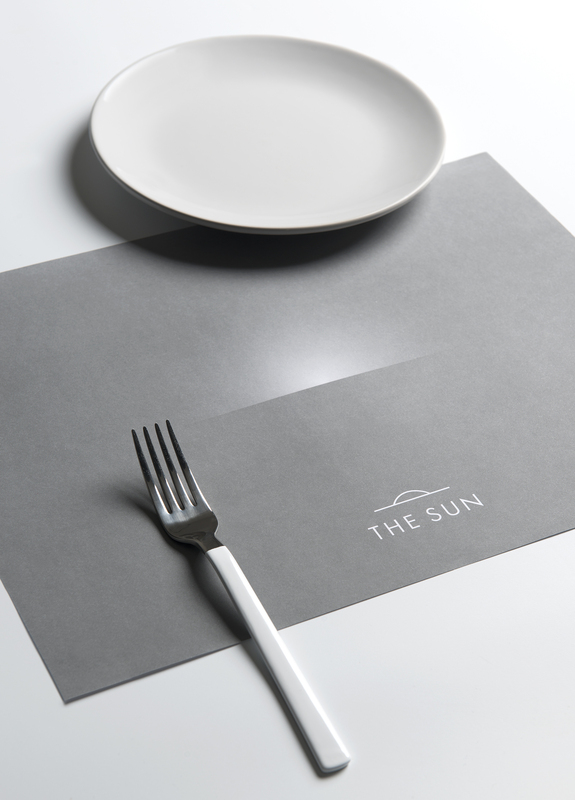 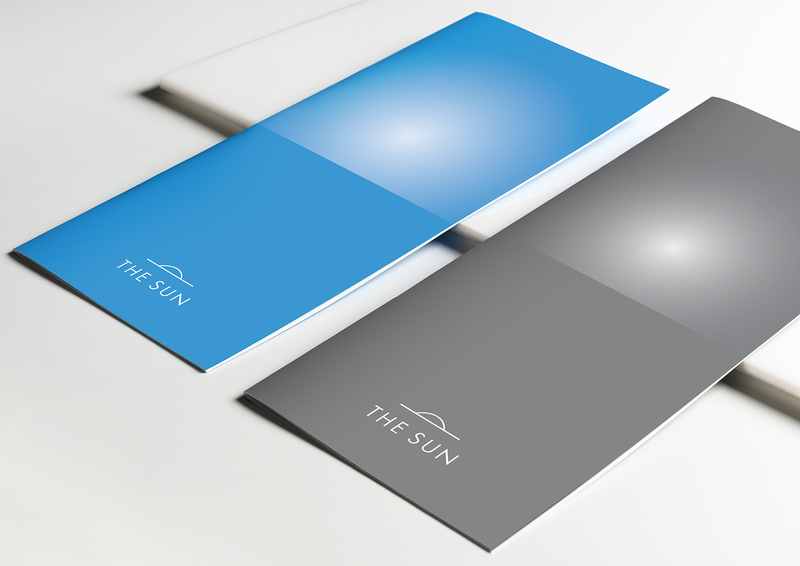 Drawing inspiration from the hotel’s identity itself, the restaurant’s logo keeps the long u for its relaxing essence, but in a 180o turn to reflect the sun descending and ascending from the horizon, highlighting the all-day service. 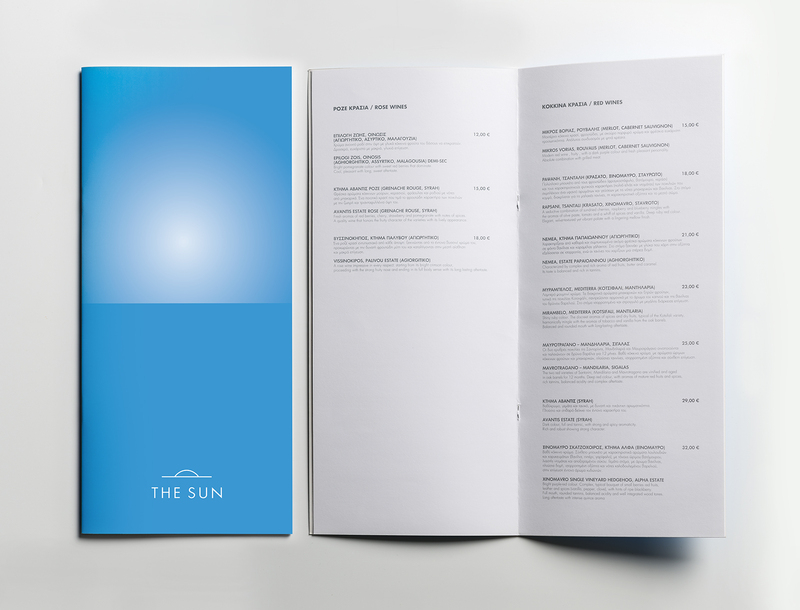 Following the position of the sun, the menus reflect the time of day and night when each selection is served (snacks, lunch, wine, drinks, a la carte), while maintaining the general design approach.